Hydrogen is the most abundant element in the universe, can be produced by water, stored easily, conversed into thermal, mechanical and electrical energy so it can be considered as the energy carrier of the future due to these characteristics . Hydrogen separation using membrane method has the advantage over other separation methods in that it is less energy intensive and environmental friendly. In order to membrane properties become better and increase the performance of gas separation membranes, mixed matrix membranes (MMMs) have been developed. MOFs as a new fillers in MMM with high surface area and pore volume enhance the H2 gas separation properties. In this study, MOF-5 and Co-doped MOF-5 particles were synthesized, characterized and incorporated into polyimide to investigate the effect of filler on the H2 gas permeation. Co-doped MOF-5/PI MMMs with different loading rate (5wt.%, 10wt.%, 15wt.%) were fabricated. The characterization was performed by different analysis techniques. The gas analyses results showed that permeability of H2 gas in mixed matrix membrane including MOF-5 and Co-doped MOF-5 particules, enhanced with increasing the loading rate (5wt.%, 10wt.%, 15wt.%) at room temperature and pressure of 500 kPa. Furthermore, metal doped MOFs/PI is the highest gas permeation properties compared to pure PI and MOF-5/PI. Evrende bol miktarda bulunan hidrojen, su tarafından üretilebilir, kolayca depolanabilir, termal, mekanik ve elektrik enerjisine dönüşebilir, bu özelliklerinden dolayı geleceğin enerji taşıyıcısı olarak düşünülebilir. Membran metodu kullanılarak hidrojen ayırma, diğer ayırma yöntemlerine göre daha az enerji yoğunluğu ve çevre dostu olması gibi olumlu yönlere sahiptir. Gaz ayırma membranlarının performansının arttırılması ve membran özelliklerinin daha iyi hale gelmesi için karışık matris membranlar (MMM'ler) geliştirilmiştir. Karışık matriksli membranlarda dolgu maddesi olarak kullanılabilen, yüksek yüzey alanı ve gözenek hacmine sahip MOF'lar, H2 gazı ayırma özelliklerini arttırmaktadır. Bu çalışmada, MOF-5 ve Co katkılı MOF-5 partikülleri sentezlenmiş, karakterize edilmiş ve dolgu maddesinin H2 gaz geçirgenliği üzerindeki etkisini araştırmak için poliimid içine katılmıştır. Farklı yükleme oranlarına sahip katkılı MOF-5/PI MMM'ler (ağırlıkça % 5, % 10 ve % 15) üretilmiştir ve karakterizasyonları farklı analiz teknikleriyle gerçekleştirilmiştir. Gaz analiz sonuçları, MOF-5 ve Co katkılı MOF-5 dahil olmak üzere karışık matriksli membranda H2 gazının geçirgenliğinin, oda sıcaklığında ve 500 kPa'lık basınç altında farklı yükleme oranlarında (ağırlıkça% 5,% 10,% 15) arttığını göstermiştir. Ayrıca, metal katkılı MOF/PI’in, saf PI ve MOF-5/PI ile karşılaştırıldığında en yüksek gaz geçirgenlik özelliklerine sahip olduğu görülmüştür. Dinçer, I. 2002. Technical, environmental and exergetic aspects of hydrogen energy systems. International Journal of Hydrogen Energy 27(3), 265-285. Jain, I.P. 2009. Hydrogen the fuel for 21st century. International Journal of Hydrogen Energy 34(17), 7368-7378. Züttel, A. 2003. Materials for hydrogen storage. Materials Today 6(9), 24-33. Van Den Berg, A.W.C., Arean, C. O. 2008. Materials for hydrogen storage: current research trends and perspectives. Chemical Communications, 6, 668-681	Adhikari, S., Fernando, S. 2006. Hydrogen Membrane Separation Techniques. 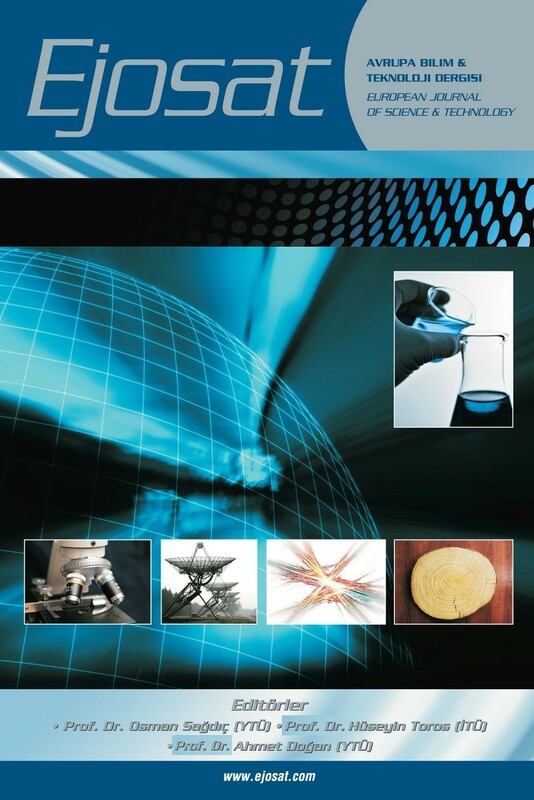 Industrial & Engineering Chemistry Research 45(3), 875-881. Shao, L., Low, B. T., Chung, T.S., Greenberg, A. R. J. 2009. Polymeric membranes for the hydrogen economy: Contemporary approaches and prospects for the future. Journal of Membrane Science 327(1), 18-31. Adatoz, E., Avci, A.K., Keskin, S. 2015. Opportunities and challenges of MOF-based membranes in gas separations. Separation and Purification Technology 152(C), 207-237. Feijani, E.A., Mahdavi, H., Tavasoli, A. 2015. Poly(vinylidene fluoride) based mixed matrix membranes comprising metal organic frameworks for gas separation applications. Chemical Engineering Research and Design 96 (C), 87-102. Shu, S., Husain, S., Koros, W. J. 2007. A General Strategy for Adhesion Enhancement in Polymeric Composites by Formation of Nanostructured Particle Surfaces. The Journal of Physical Chemistry C 111(2), 652-657. Li, H., Shi, W., Zhao, K., Li, H., Bing, Y., Cheng, P. 2012. Enhanced Hydrostability in Ni-Doped MOF-5, Inorganic Chemistry 51(17), 9200-9207. [11 ]	Li, J., Cheng, S., Zhao, Q., Long, P., Dong, J. 2009. Synthesis and hydrogen-storage behavior of metal–organic framework MOF-5, International Journal of Hydrogen Energy 34(3), 1377-1382. Perez, E. V., Baalkus, K. J., Ferraris, J. P., Muselman, I. H. 2009. Mixed-matrix membranes containing MOF-5 for gas separations. Journal of Membrane Science 328(1), 165-173. Arjmandi, M., Pakizeh, M. 2014. Mixed matrix membranes incorporated with cubic-MOF-5 for improved polyetherimide gas separation membranes: Theory and experiment. Journal of Industrial and Engineering Chemistry 20(5), 3857-3868. Botaş, J. A., Calleja, G., Sánchez-Sánchez, M., Orcajo, M.G. 2010. Cobalt Doping of the MOF-5 Framework and Its Effect on Gas-Adsorption Properties. Langmuir, 26(8), 5300-5303. Yang, J. M., Liu, Q., Sun, W.Y.2014. Shape and size control and gas adsorption of Ni(II)-doped MOF-5 nano/microcrystals. Microporous and Mesoporous Materials 190 (C), 26-31. Yang, J. M., Liu, Q., Sun, W.Y. 2014. Co(II)-doped MOF-5 nano/microcrystals: Solvatochromic behaviour, sensing solvent molecules and gas sorption property. Journal of Solid State Chemistry218, 50-55. Oztürk, B.; Demirciyeva, F. 2013. Comparison of biogas upgrading performances of different mixed matrix membranes. Chemical Engineering Journal 222, 209-217[18 ]	Weng, T H., Tseng, H. H., Wey, M. Y. 2010. Fabrication and characterization of poly(phenylene oxide)/SBA-15/carbon molecule sieve multilayer mixed matrix membrane for gas separation. International Journal of Hydrogen Energy 35(13), 6971-6983. Huang, L., Wang, H., Chen, J., Wang, Z., Sun, J., Zhao, D., Yan, Y. 2003. Synthesis, morphology control, and properties of porous metal–organic coordination polymers Microporous and Mesoporous Materials 58(2), 105-114. Sabouni, R., Kazemian, H., Rohani, S. 2010. A novel combined manufacturing technique for rapid production of IRMOF-1 using ultrasound and microwave energies. Chemical Engineering Journal 165(3), 966-973. Liu, Y., Zhenfu, N., Khan, E. A., Jeong, H.K., Ching, C., Lai, Z. 2009. Synthesis of continuous MOF-5 membranes on porous α-alumina substrates Microporous and Mesoporous Materials 118(1-3), 296-301.